Announcing the winners of our inaugural Jewish Treats Top Ten Jewish Influencer Awards! Finalists were selected by an expert panel of judges and evaluated based on creative and strategic use of social media to positively impact the Jewish community. JewishJournal.com. He also maintains the Facebook presence for both JConnectLA and the Jewlicious Festival, a popular youth event. 2. Lisa Colton: Lisa Colton is the founder of Darim Online, a nonprofit dedicated to helping Jewish organizations and leaders effectively leverage social media to achieve their goals, including community building, education, communication and fundraising. In the past year, Lisa has presented at conferences throughout the United States, and has hosted social media webinars online. Director of the Washington Office for the Jewish Federations of North America. To the Jewish online community he is @Daroff, a prolific Tweeter who offers great insights into what’s going on in the Jewish world. As the person who nominated him for this award said: “by following William’s posts on Twitter and Facebook, one gets a good picture of what is going on in the organized American Jewish community.” In 2011, William co-chaired the social media committee for Prime Minister Netanyahu’s Global Coalition for Israel. 4. Chaviva Galatz: Chaviva Galatz is a popular blogger,Tweeter and social media personality. Chaviva created and co-chaired the only Jewish-themed panel at the 2011 SxSW Interactive Festival in Austin, TX, entitled Jewish Synergy: Social Media and the New Community. She was named to The New York Jewish Week’s prestigious “36 Under 36” list where they coined her tag line: “Connecting with Jews, one Tweet at a time”. 5. Allison Josephs: Allison Josephs is the woman behind “Jew in the City,” a popular website and video blog that helps promote a positive perception of Orthodox Judaism to non-observant Jews and non-Jews alike. In the past year, Allison has been invited to speak at numerous events and was interviewed by NPR for her work. 6. Esther Kustanowitz: Esther Kustanowitz (or as the online community is more likely to know her, EstherK) is a popular blogger, Tweeter and a Jewish nonprofit consultant. Esther spent the past year traveling the globe presenting at various conferences on topics like Jewish communal engagement, social media and innovation. She was recently named a “Jewish Engagement Superstar” by Jewcy. 8. 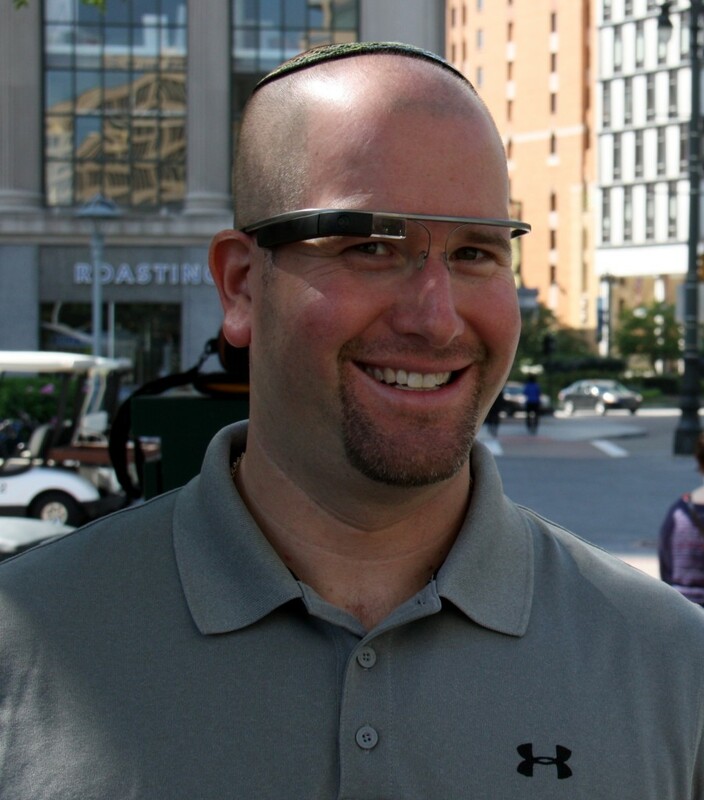 Rabbi Jason Miller: Rabbi Jason Miller is a popular blogger on a wide variety of Jewish topics including technology, pop culture, politics and Jewish law. He is published regularly in the New York Jewish Week, The Huffington Post and the Detroit Jewish News. Rabbi Miller’s video response to former presidential candidate Governor Rick Perry’s “Strong” commercial has nearly 220,000 views on YouTube and was written about in dozens of national and international publications. 9. Dave Weinberg: Dave Weinberg is a Jewish innovator who uses social media to rally people for causes he supports and projects he works on. He runs Causil, an organization that offers nonprofit consulting and produces conferences, such as the Future of Jewish Nonprofit Summit, targeted at educating the Jewish community on social media and other new media tools. Dave also was invited to lead the Social Media Boot Camp at the AJOP Convention last month. 10. Rabbi Josh Yuter: Rabbi Josh Yuter is not only a pulpit rabbi. He’s a popular blogger, tweeter, and podcaster (his Jewish-themed podcasts were downloaded more than 20,000 times last year.) After successfully bringing his own synagogue into the 21st century with a new Facebook page and Twitterfeed, he was chosen by the Rabbinical Council of America to teach other rabbis about social media and “Using the Web to Teach Torah” at its 2011 Annual Convention. ‹ Can You Sell Chametz Online For Passover?